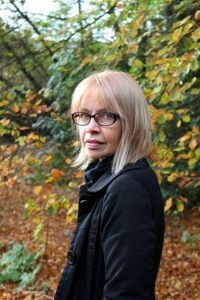 Leeds author June Taylor gives her top five editing tips, with five from her editor. Losing Juliet, her debut psychological thriller is published by HarperCollins Killer Reads as an ebook on 25 November 2016. 1. GET FEEDBACK. Filter it, but take on board the good stuff. Even if you don’t like it. 2. REWORK THAT FIRST CHAPTER … AGAIN & AGAIN. When you get to the end of every draft, go back to the very beginning. That first chapter has to be perfect. It’s your shop window to the rest of the book. 3. LESS IS MORE. What you take out is just as important as what you put in. Leave something between the lines, it makes for a much more satisfying read. 4. SHOW DON’T TELL. Yes, we’re all sick of hearing this one, but it’s so true. You don’t want passive readers, you want them involved, thinking for themselves, feeling, worrying about your characters. 5. READ IT ALOUD. This will slow you down when editing and you can spot things you might not otherwise see. If you get a sore throat, at least read the dialogue out loud! 1. TENSION, TENSION, TENSION. Whatever you’re writing, make the reader want to continue. 2. BE RUTHLESS. If a scene isn’t advancing the plot or revealing something about the characters, rework or take it out. 3. BE DRAMATIC. Too much exposition is boring. Use dialogue to make your writing come alive. 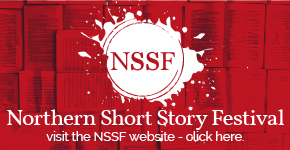 Find other ways to convey back story or essential info, whenever possible. 4. NO FAT ON THE BONE. Keep your writing tight and stick to the point. You don’t have to use big words and over-complicated sentences either. You want your book to be totally ‘unputdownable’. 5. LET YOUR MANUSCRIPT BREATHE. Put it away in a drawer for as long as you can between drafts. You need a fresh pair of eyes and an open mind. 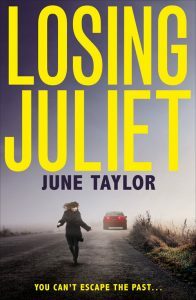 June’s debut psychological page-turner Losing Juliet is published by HarperCollins Killer Reads and is available on Amazon as an ebook from 25 November 2016. Read more about how June feels to be a published author here.